Career: Built as PORT CURTIS. Renamed TOWER DALE-1936, KRONOBORG-1937, KRONSTADT-1946, ALGENEB-1967. 1970 Scrapped at Bilbao, Spain. - swivel 2 February 1931. - 25 June 1934 moor. - 2 August 1935 moor. - 13 December 1935 Owner/agent Downs Steamship Co. 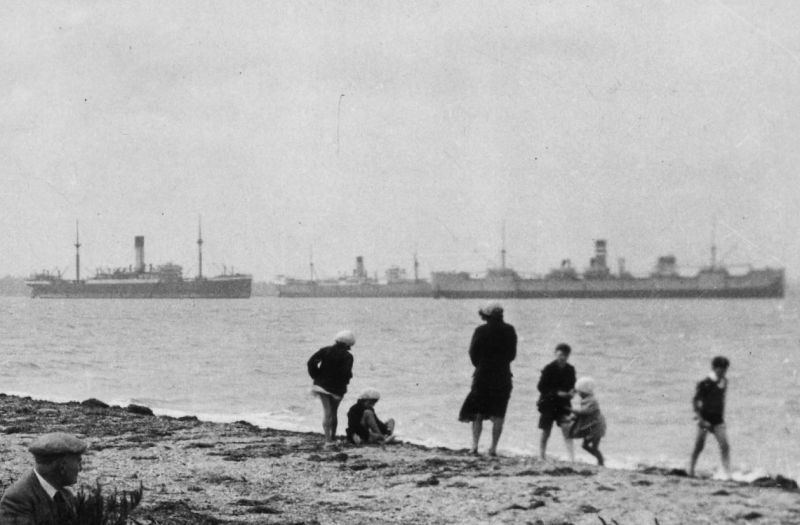 Above: Part of a postcard of The Shore, Bradwell on Sea, taken 1931-32. 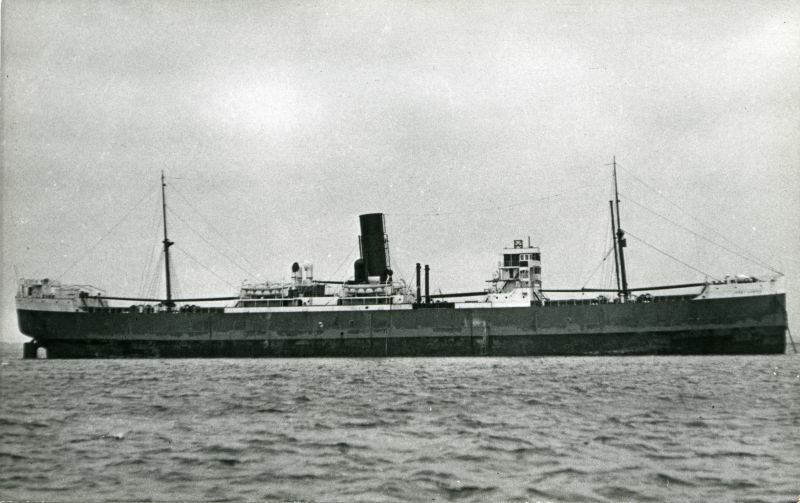 The ships are believed to be a Blue Funnel liner, PORT CURTIS and HIGHLAND WARRIOR. Date: Before 7 December 1932. Above: PORT CURTIS laid up, believed to be in the River Blackwater. Built 1920, Official No. 144533. In a seasonal trade, she was laid up 5 times between February 1931 and February 1936. Date: cAugust 1931.